Karen Levy, PhD, MPH, associate professor of Environmental Health at the Rollins School of Public Health at Emory University, was recently selected by the American Association for the Advancement of Science (AAAS) as a 2017-2018 Public Engagement Fellow. Levy is one of 15 infectious disease researchers in the second cohort of the AAAS Alan I. Leshner Leadership Institute for Public Engagement with Science. AAAS recognizes researchers who have demonstrated leadership and excellence in their research careers, and interest in promoting meaningful dialogue between science and society. Future cohorts will focus on other areas of science, particularly topics with a science-society nexus and scholarship in related communication research. The new follows will be recognized at a reception on Thursday, February 16th at 4pm at the AAAS Annual Meeting in Boston. Levy's work explores how environmental factors affect the transmission and incidence of infectious diseases, focusing on the ecology and epidemiology of food- and water-borne diseases. She leads projects in both international and domestic study sites, including studies on transmission of diarrheal pathogens, household water quality, climate and waterborne disease, the spread of antibiotic resistance, the gut microbiome, and safety of agricultural irrigation water. 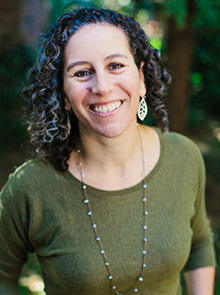 Levy earned her PhD in Environmental Science, Policy, and Management from the University of California, Berkeley in 2007 and has since published several op-eds and news stories in major media outlets and served as a Public Voices fellow at Emory in 2012-2014. "Dr. Levy's essential contributions to infectious disease research and leadership are widely recognized," says James Curran, MD, MPH, who is the James W. Curran Dean of Public Health at Emory's Rollins School of Public Health. "Her selection as an AAAS fellow further highlights her outstanding commitment to positive outcomes and advancements within the field." The new AAAS Public Engagement Fellows will convene in June 2017 at AAAS headquarters in Washington, DC for a week of intensive public engagement and science communication training, networking, and public engagement plan development. After the training, AAAS Public Engagement Fellows will return to their institutions with resources and connections to develop and implement public engagement activities, opportunities for training other scientists in their communities, and increased capacity for public engagement leadership. AAAS staff will provide ongoing support and continuing professional development throughout their fellowship year.